After 0-0 stalemate in regulation time, Goalkeeper Ayeisha McFerran stars for Ireland in the Shootout; Reena Khokhar was India’s lone goal-scorer. History beckons the Indian Women's Hockey Team as they take on Ireland in the Quarter Final match of the Vitality Hockey Women’s World Cup London 2018 here at the Lee Valley Hockey and Tennis Centre on Thursday. Their erratic campaign back on track, the Indian women's hockey team would now be aiming to secure its first World Cup semifinal spot in 44 years by extracting revenge from giant-killers Ireland in the last-eight stage here tomorrow. On July 29, the Indian Women's Hockey team will take on USA at 21.30 hours (IST). 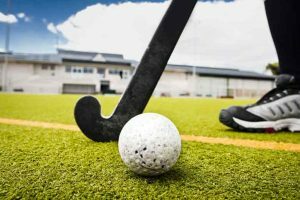 The Indian Women's Hockey Team were left disappointed as they lost 0-1 to Ireland in their second Pool B match of the Vitality Hockey Women's World Cup London 2018 campaign here at the Lee Valley Hockey and Tennis Centre on Thursday. Rani-led India will look to register their first victory in Pool B of the Vitality Hockey Women's World Cup London 2018. 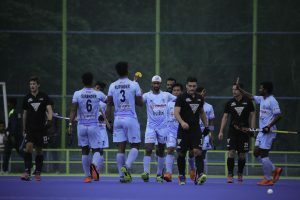 There could not have been better preparations for the Indian Men's Hockey Team ahead of the 18th Asian Games in Jakarta than playing against World No. 9 New Zealand in a three-match Series here at the Sports Authority of India in Bengaluru. India produced an impressive display before conceding a late goal to play out a 1-1 draw against world number two England in their opening Pool B match of the women's hockey World Cup here today. 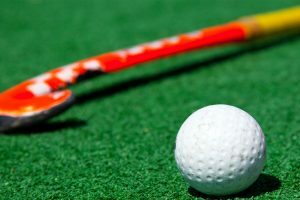 The mood among the Indian women's hockey team is upbeat as they are set to take on hosts England in their opening match of the World Cup here on Saturday. 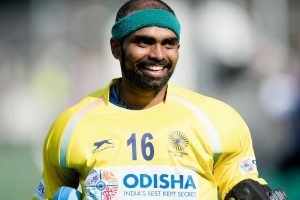 On 21 July 2018, Indian Men's Hockey Team will take on New Zealand at 1600 hours IST. The Indian junior women's team, led by Preeti Dubey, have had a strong showing in the tournament thus far having won three successive matches previously. Continue reading "Indian junior women’s hockey team beats Belgium in U-23 tourney"
Continue reading "Indian juniors play out 1-1 draw with Belgium"
The Indian team believes moving up to World No.5 is the big boost to do well at the upcoming 18th Asian Games 2018 in Jakarta and the Odisha Hockey Men's World Cup Bhubaneswar 2018. The Rani-led team on Sunday departed for London to feature in the forthcoming Hockey World Cup, slated to be held between July 21 and August 5. It will be India's first appearance in the prestigious event in eight years.